It’s been a great year for Video Artisan and it couldn’t have ended better than by releasing the event documentary celebrating 25-years of the Supadance National League. 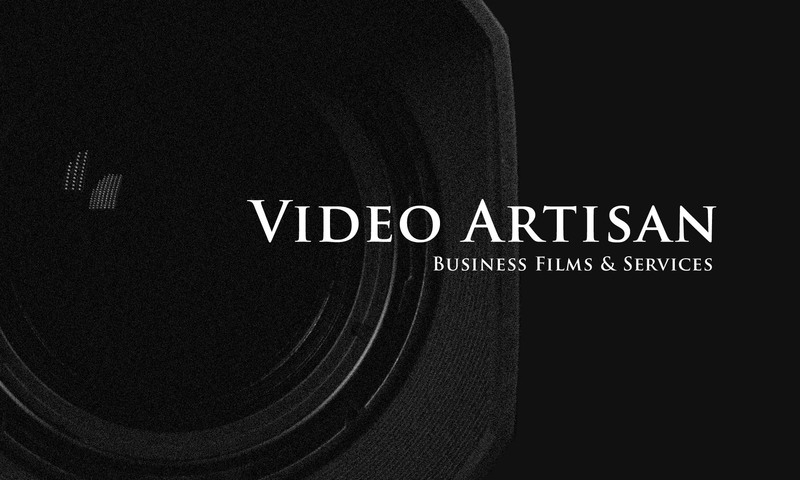 The brief for this Video Artisan film was straightforward… ish! “Produce a short event documentary to celebrate its 25th anniversary, convey the spirit of the event and the positive aspects of competitive ballroom dance, show the benefits of participation for competitors and dance schools and, ultimately, promote wider participation in Supadance National League.” Oh, and of course, I had to make sure that Supadance Shoes got a really good plug too! Obtaining a clear brief is quite easy really and starts with a simple two-part question to the client, “Who is the audience – and what do you want them to believe after watching the film?” You’ll probably know the answers before they reply but you need to draw this out from them and then come up with a plan or treatment on how you are going to achieve it within a given budget. I’m not going to share the actual amount Supadance International invested in this event documentary but I will break it down into man-hours and kit for the way I produced this film. It consisted of a two-man crew for 2-days filming mainly on DSLR cameras followed by 3-days in post production – plus a day in pre-production. I say “mainly on DSLR cameras” because I was also testing out the JVC GY-HM650 camera which I was delivering a workshop on the following week and there are a couple of shots from that which are included in the final edit. As the film was to celebrate the history of the event my first thoughts were in locating video or stills of previous years that would help tell the story. Thankfully, one of the league’s directors had a video of the very first event – albeit that it was 3rd generation VHS. A shout out through the Supadance National League Facebook page also brought in a handful of photos – so I had as much archive as I needed for this brief part of the documentary. The history was interesting but lingering on it wouldn’t help me fulfil the remainder of the brief. Addressing these really had to come from capturing the thoughts, hopes and dreams of three groups of people involved at the event – namely the event’s board of directors, the principals of participating dance schools and the dancers themselves. The messages you should get from these interviews should complete the brief – plus of course the all-important plug for the sponsor which I hope doesn’t drift too far off the storyline. Prior to the event the directors helped us spread the word about what we were trying to capture by way of interviews. They also hand-picked some key personal from dance schools and other officials who could offer a valuable contribution. They also helped us on the day by encouraging contestants to take part in the interviews. Recording the interviews therefore became our focus over the 2-day shoot. It was virtually impossible to set a proper schedule for these as the organisers were busy organising and the dancers were busy dancing – so we had to take our chances where we could. We managed to capture a handful of interviews on the first day plus the grand opening ceremony that evening. 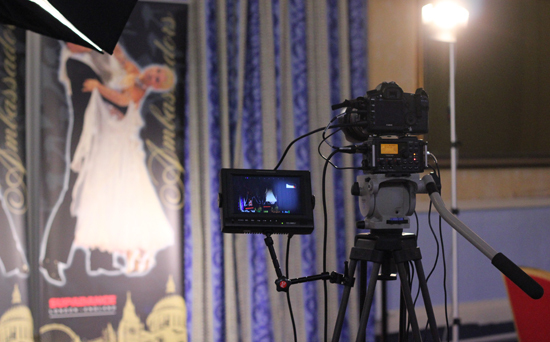 We spent the morning of the second day capturing b-roll footage of the dance action and general atmosphere shots. In the afternoon we had a separate interview area set up and grabbed people when we could. This went on all afternoon and finished around 9:30pm. When there was no one to interview we carried on gathering b-roll – even though we probably had enough by then! It’s the second time Supadance International has sponsored me to make a film about this particular event. Last year’s film was a little less complicated in its brief, being a general introduction to Supadance National League – so I had plenty of general dance shots to fall back on if needed. But fashions change, people get older, become better dancers… so we knew we would need additional b-roll footage of the current event too. It was pretty much a standard shoot stock for Video Artisan. A Canon 5DMkII and 550D – both running Magic Lantern. Lenses varied between the 24-105mm Canon, a vintage 55mm f1.8 Fujinon and an 11-16mm Tokina f2.8 cropped sensor lens (which I also used at 16mm here and there on the full-frame 5DMkII). There are a couple of slider shots where I used the Varavon slider (see review here) and though I did take a mini crane there simply wasn’t a safe opportunity to use it. The interview audio was recorded using the Tascam DR-60D mixer/recorder (see review here). I wouldn’t go anywhere without this fantastic bit of kit. Lighting was provided by my Ianiro 3-head kit with a 2-foot softbox. This worked well except for a couple of interviews where 3 or 4 people wanted to be filmed together rather than separately or in pairs. Despite my attempts to keep them within the lighted area they tended to drift apart as a group the moment they started to talk. I should have anticipated this really and created a bigger set – or simply took the time to re-light. But at that point we had a line of people waiting to be interviewed so were pressed for time. I spent the first couple of days in post picking the story out of the hour and forty minutes of interviews (Edius 6.5). The aim was to get it down to around 10-minutes – or less if I could. The first rough hack ended up about 12-minutes after taking out repetitions of the same point, getting one interviewee to finish off the point being started by another interviewee – plus a couple more brutal hacks. Final tweaking, giving it musical breathing space here and there (AKM Music again) and topped and tailed with graphics brought it down to its current running length of just under 9-minutes 30-seconds. A timecoded first-draft was supplied to the customer, signed-off a couple of days later and released on YouTube and Vimeo on 17th December – 10-days after filming was completed. By the following afternoon the film had been viewed over 500 times – plus additional views on a version which Supadance International released via their own Facebook page (which I don’t know the viewing figures on). Most of the views followed an announcement on the league’s Facebook page – which has been a massive bonus for reaching out to the audience. It will also be shared permanently by Supadance on their website and used by them at other dance events as part of the exhibition marketing efforts. The real value of this event documentary will probably not be realised for some time. In the short term it should attract more schools to take part and, of course, ultimately make dancers think ‘Supadance’ when it comes to buying their next pair of dance shoes. But I also hope that in the longer term it will stand as a valuable historic document about a significant period in the league’s history. Bring it on – I love event documentary commissions!